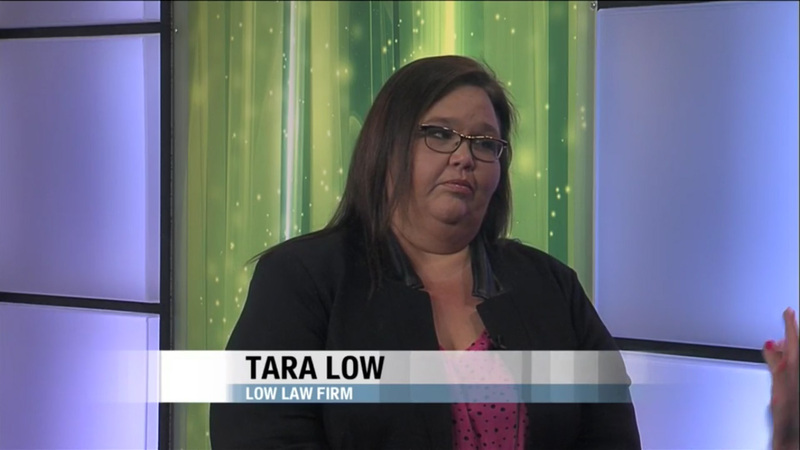 Abilene automobile accident attorney Tara Low, was recently on a television interview about automobile accidents. If you are injured in an automobile accident, there are a lot of factors at play from auto insurance to hospital bills. Of course it can all be quite overwhelming. Today we are going to talk about hospital liens and third party. Typically what that means is when you are involved in an automobile accident, truck accident, motorcycle accident the Texas property code allows the hospital that you go to the emergency room or go get treatment for after an auto accident to file a lien. What that means is that lien attaches to your settlement proceeds. That settlement proceed then goes to the hospital bill before it goes to you. Before you give a hospital any information about your auto insurance whether it’s your or the other parties, go talk to an automobile accident lawyer. How often are these hospitals taking part of these auto insurance settlements? Every automobile case! The problem is not that the hospital gets paid, the problem is that the hospital refuses to bill if you have health insurance and refuses to take those rates they get from the health insurance. Instead they are charging these exorbitant rates to people as uninsured or as a result of a third party accident. That eats up all the settlement proceeds for the automobile accident clients. So what is it like for someone who has been in an automobile accident and they are already trying to recover from what ever injuries they have sustained and then all this other stuff comes? What is that like for the healing process? It’s awful because automobile accident clients are injured and the last thing they need to worry about is the billing and the exorbitant and fraudulent billing rates the hospitals are doing. The reality is the best thing anyone can do is before you do anything, when you are able, contact an automobile accident lawyer for a free consultation. Because we can help you navigate through some of those hospital lien issues and try and maximize your recovery. If someone is in the hospital in an emergency situation, what do you advise for the families? The same thing? Yes, possibly send a family member to do a quick free consult. If nothing else, nothing awful is going to happen if you need to wait a few days until you get out of the hospital to provide them with auto insurance information. The one thing you do need to do is immediately give them your health insurance information. If they refuse it, send it to them via certified mail afterwards and instruct them to bill your health insurance. If you don’t have health insurance, contact an automobile accident lawyer as that will be a whole other issue. Why would a hospital refuse your health insurance? What’s the underlying cause for that? The reason for that is the health insurance reimbursement rates are much lower than the exorbitant rates these hospitals want to charge uninsured or automobile accident victims. If the hospital can take that huge exorbitant bill and attach it to your auto accident settlement rather than take your health insurance rate, that’s what they are trying to do. If you have been injured in an automobile accident call the Low Law Firm for a free consultation to make sure you are getting the proper advice.